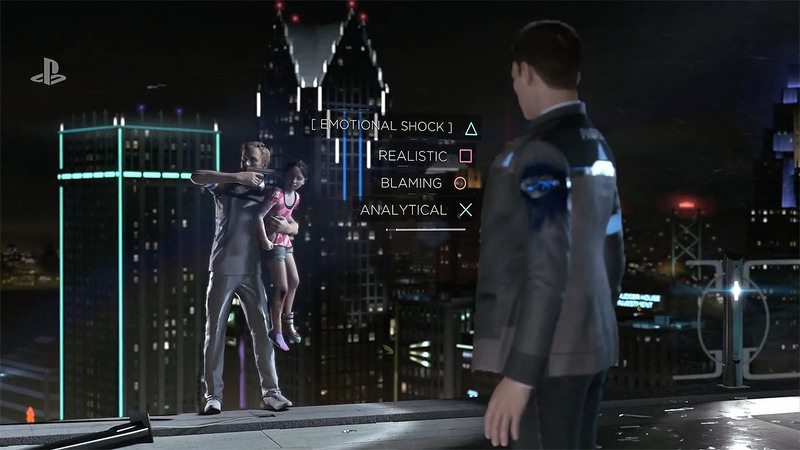 Upcoming Games - Detroit: Become Human Will this Interactive Narrative Experience be overlooked? Many gamers have a lot of issue with Quantic Dreams titles, I for one think they're wonderful. One of the problems I have always had with Point & Click adventures is the very nature that their name implies – I've never liked the control scheme. Having a character static within an environment or looking in first person as you navigate around the area with a cursor has never been engaging to me. I see these games as an advancement on that formula, having a character move within the environment and investigate the goings on of the mystery to advance the story. The single addition of having that character model directly being controlled by the player makes a huge difference to me and the sense of immersion – Shadow of Memories/Destiny is clearly the exact same as a point and click title but with this additional feature and one of my all time favourites. But the biggest complaint many overlook is that these games are basically interactive movies. They say this as a majority of the action is presented with Quick Time Events – To where button prompts appear on the screen in sync with the action. I've never agreed with this complaint as most of the QTE of these games give you different routes to take the conversation or action rather than just enforcing a single particular action. A lot of the interaction within the games are what pull you in and the level of consequence to strive well with your decisions is something I have seen very few other games manage so well – TellTale games certainly deserve a Nod though as does Until Dawn, a another PS4 Underdog. I think the concept as games as a medium to feature interactive narratives has immense potential, so when I see titles like this appearing I get very hopeful. It's something which movies simply can't offer nor books as they often require you to jump pages multiple times. This game itself is pitching the idea of a dystopian future to where our society is dependent on machines - We've seen many forms of media display this I think the most appropriate would be the Action hit of the early 2000's iRobot. Though this game will offer a view of humanity from the perspective of machine as an uprising begins. There is a lot of promise here to present grand themes and a good reflection of our generation. As I said I'm very hopeful of this title and will have to wait and see in a few weeks to how it turns out. I played the demo last week and the level of interaction was much more intricate than before, you play as an android cop investigating a crime scene as the perpetrator has a hostage captive out in the balcony. You look around for clues with some very fancy Sci-Fi tech which gives you evidence and further routes to take during the later confrontation. I was impressed with what I played, at the end the game maps out all the branches that could happen in that scenario, from the evidence you could collect to the routes of the dialogue options in the confrontation. Of course, how diverse the routes go you cannot predetermine, but I think they've learnt their lesson from their last game Beyond: Two Souls which wasn't so adaptive since should you fail a scenario it would push you through without much sense of a consequence in later stages of the game – I should still say Beyond: Two Souls is still a great experience and available as the PS+ game this month on PS4 so check it out if you haven't. 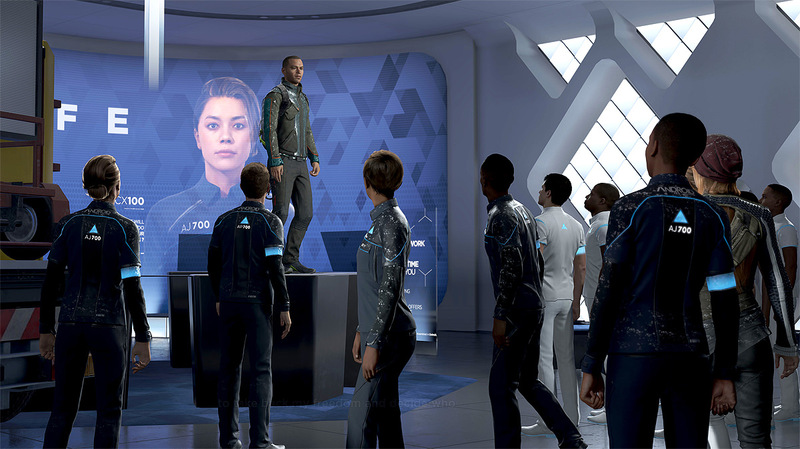 My concern for Detroit: Becoming Human beyond Quantic Dream's previous titles reception is marketing! Sony nor QD have been pushing it much until very recently – We barely saw any footage before the demo and beyond that content it is footage that was leaked Many of us simply didn't know what to make of the game until the last month prior to the games release window which offers little time to generate such mass interest. I just haven't seen much in the way of advertising for the game – Some games have been advertised at cinemas, I think this would have been perfect for Detroit as it could advertise the offer of that Interactive Narrative Experience. The sudden push with Beyond: Two Souls as PS+ Game of the month is encouraging but I'm just not seeing much 'Buzz' for this title. I implore you, try out the Demo on the PS Store now, it's certainly an interesting experience, I'm pretty stoked after playing it and just remain in hope that the title will deliver. Hopefully it will be more than just Deus Ex: HR with blue instead of yellow. I played the demo and I'm interested in buying the full game.. Probably will wait for the price to come down a bit, though.